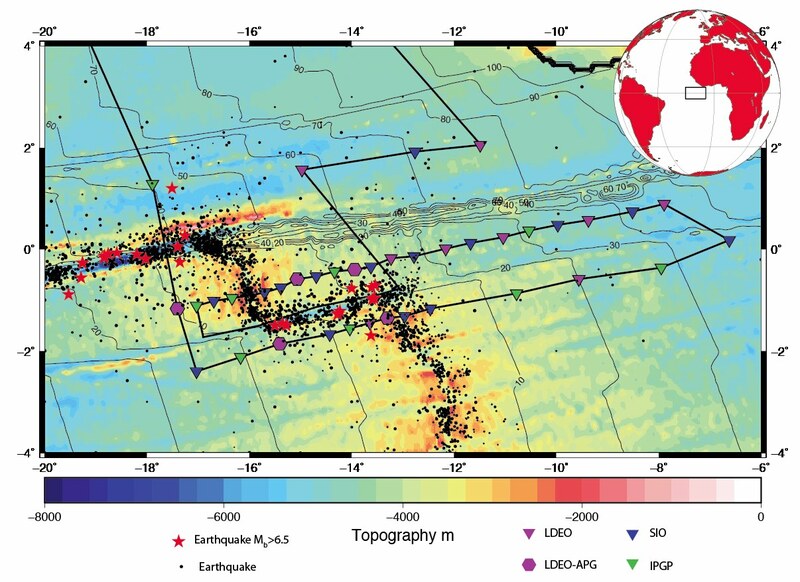 The plate tectonic revolution fundamentally changed our understanding of Earth, and geology texts were completely re-written as a result. 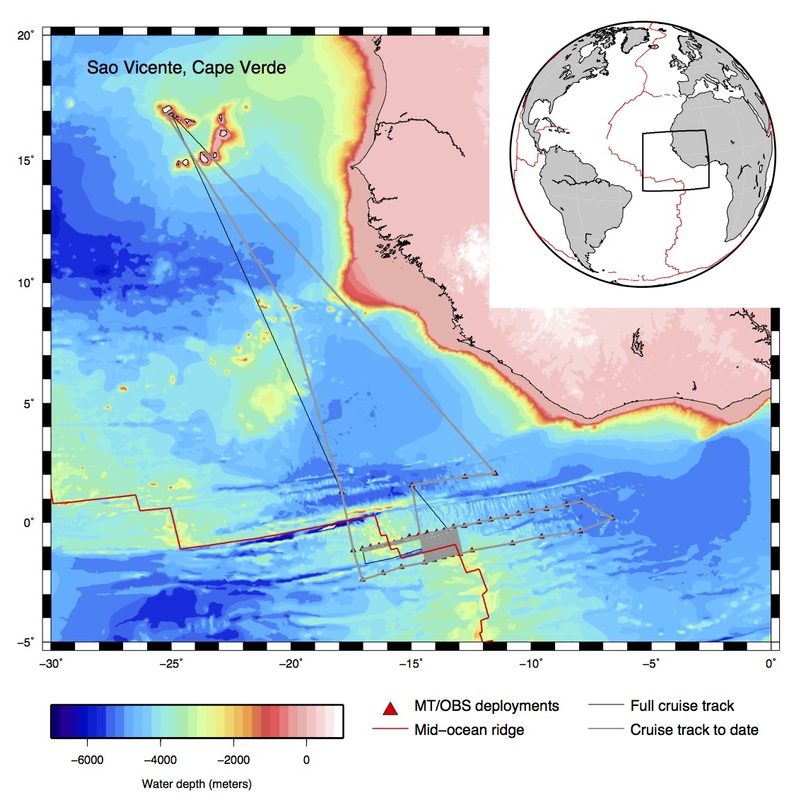 We are all familiar with the volcanoes, fault systems, and subduction zones that form the plate boundaries, yet the biggest plate boundary of all, the lithosphere-asthenosphere boundary (LAB) at the base of the plates, is poorly understood. 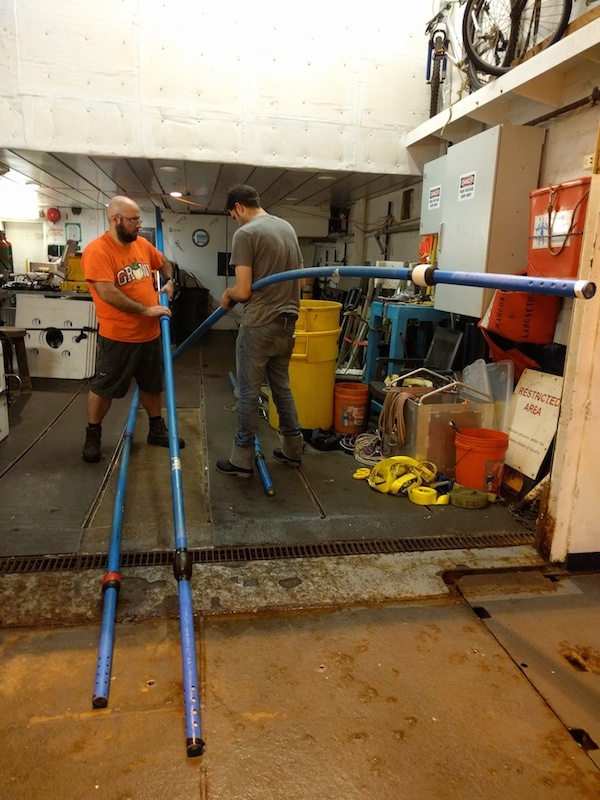 This project seeks to change that. 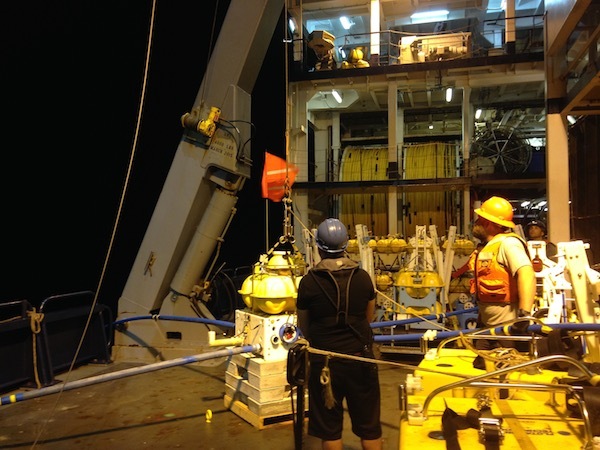 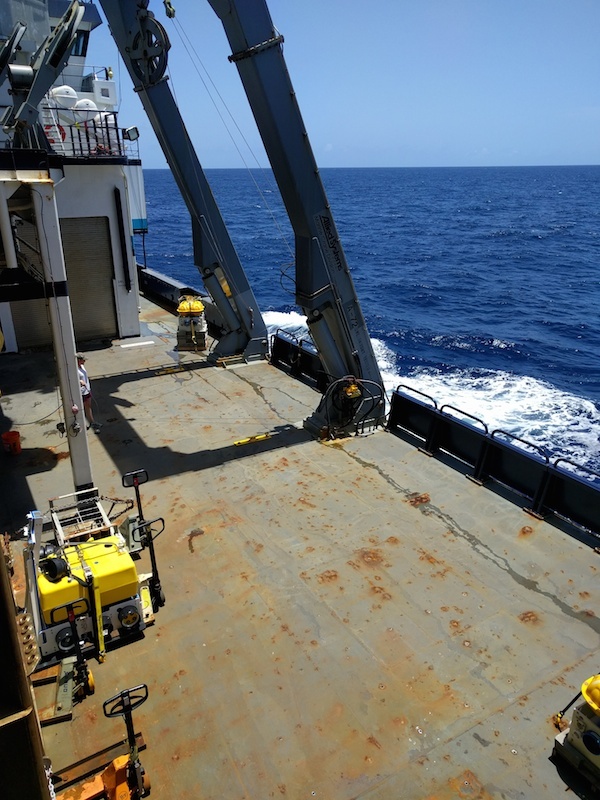 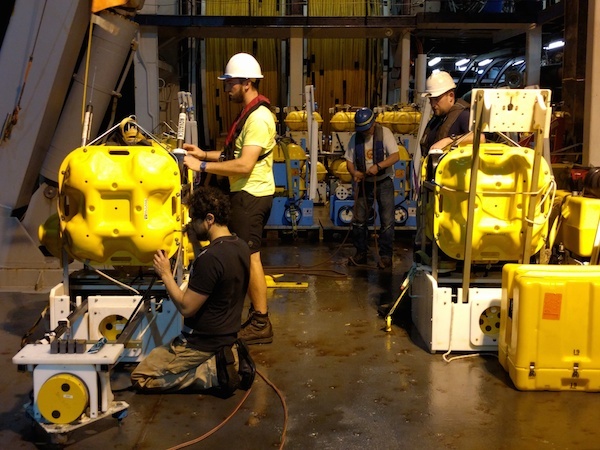 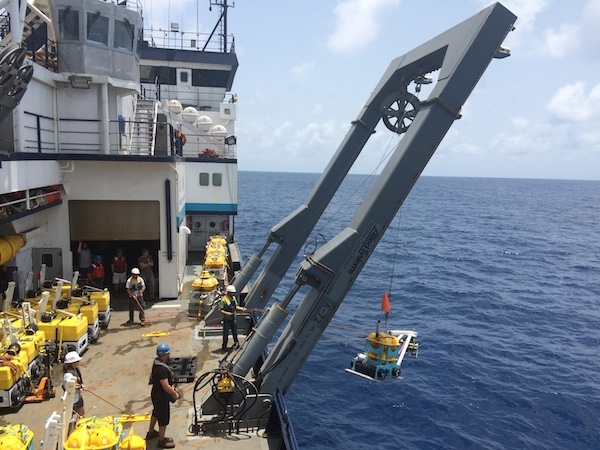 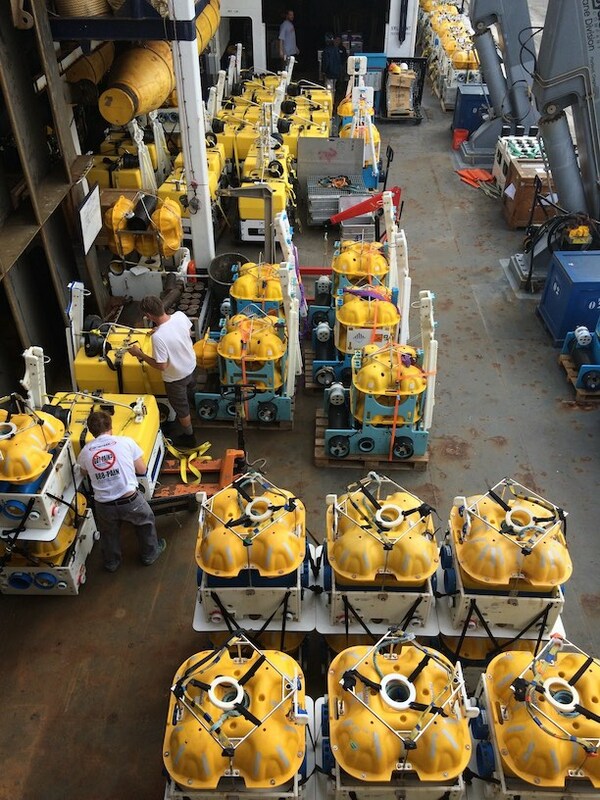 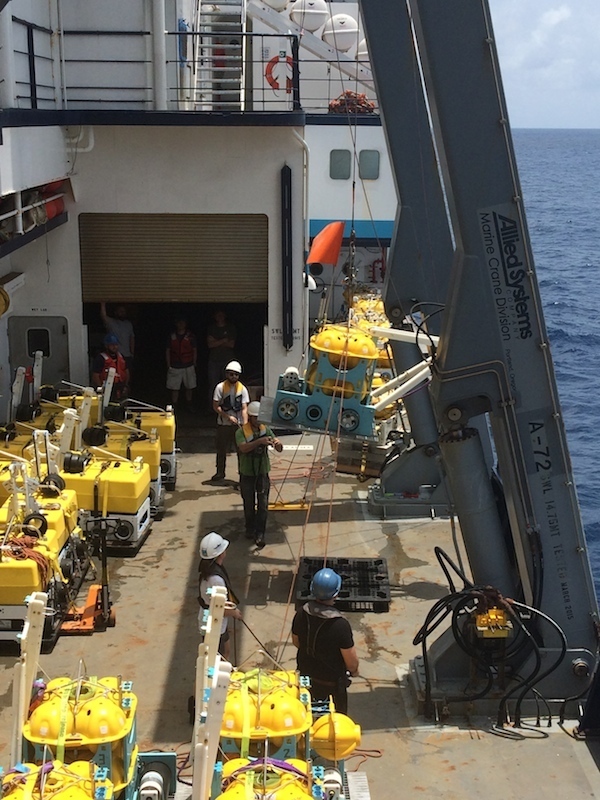 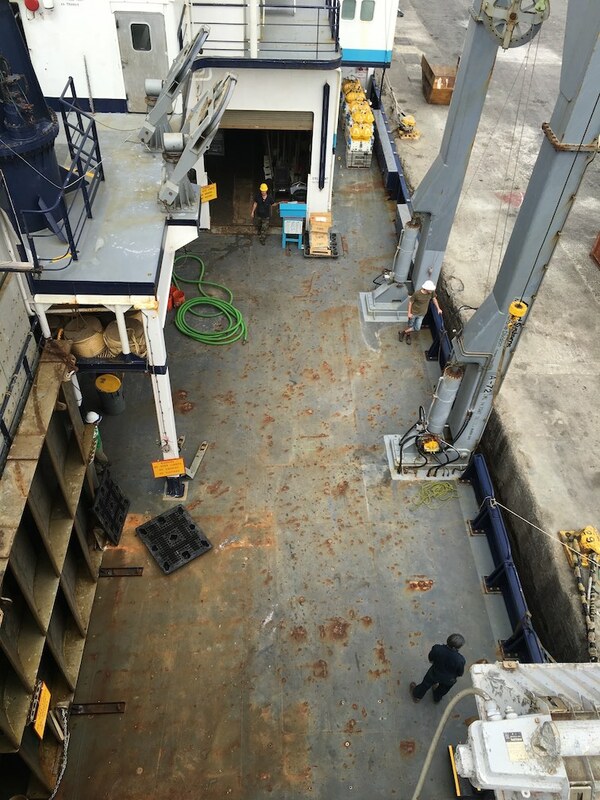 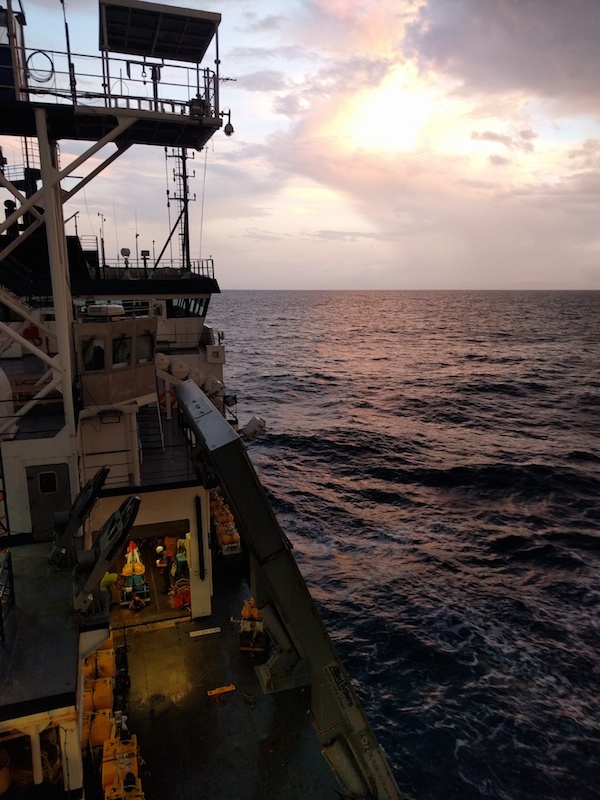 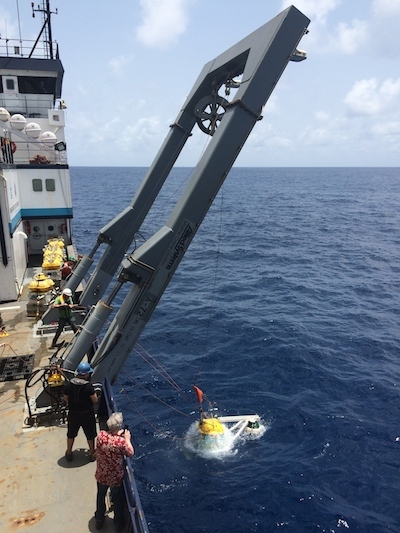 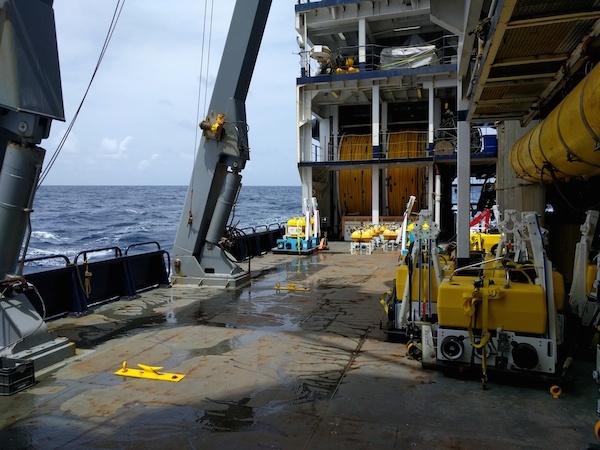 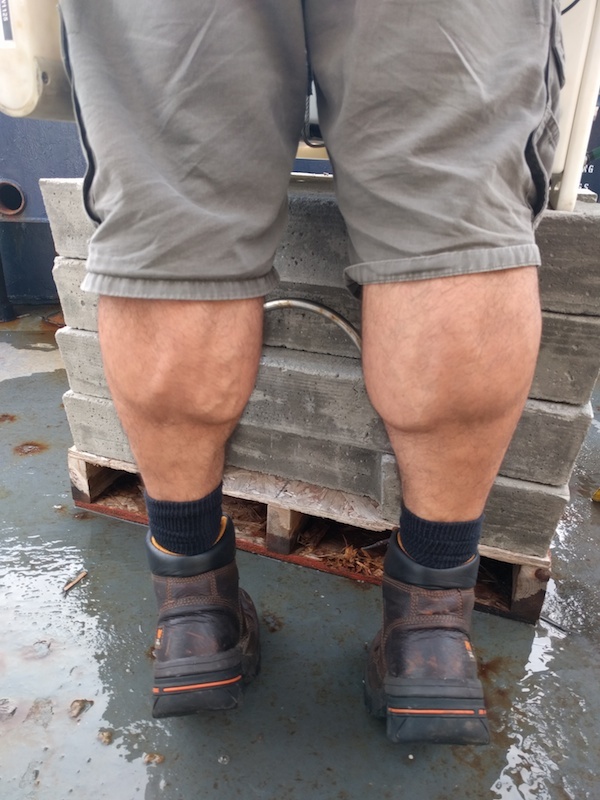 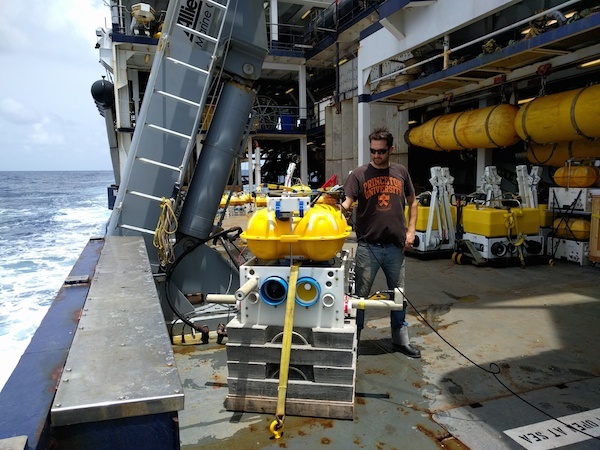 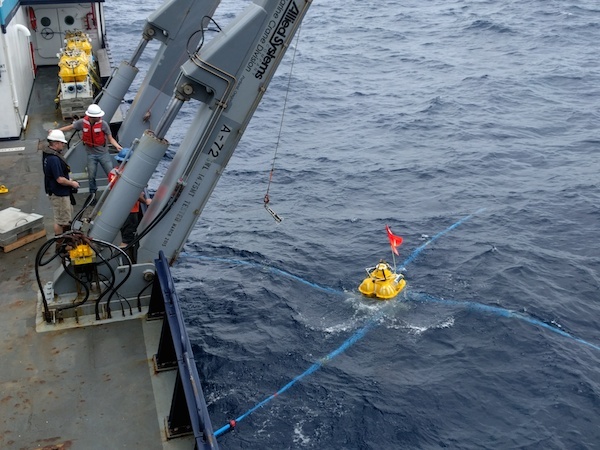 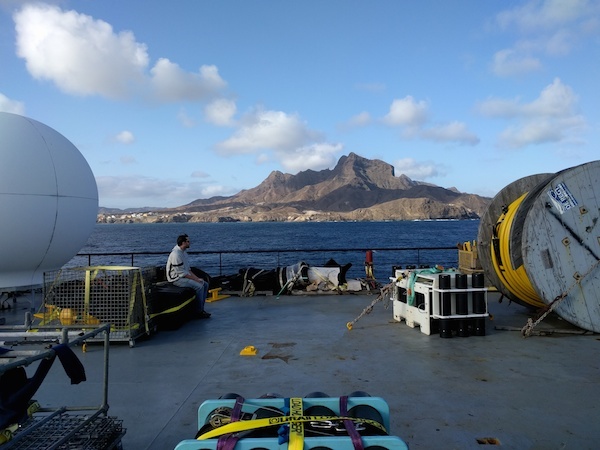 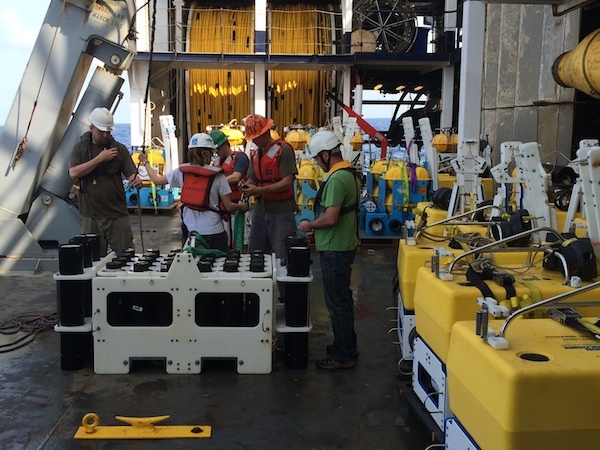 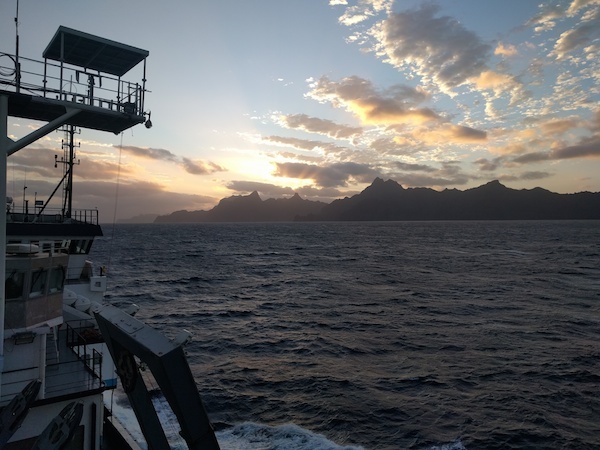 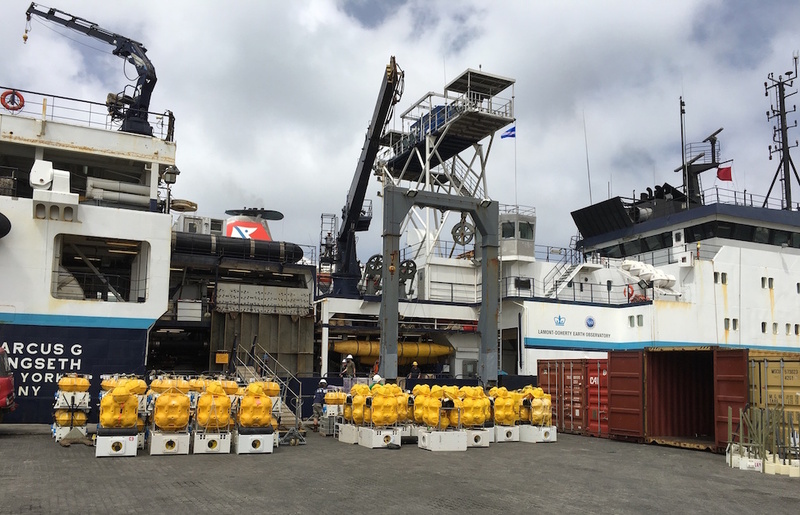 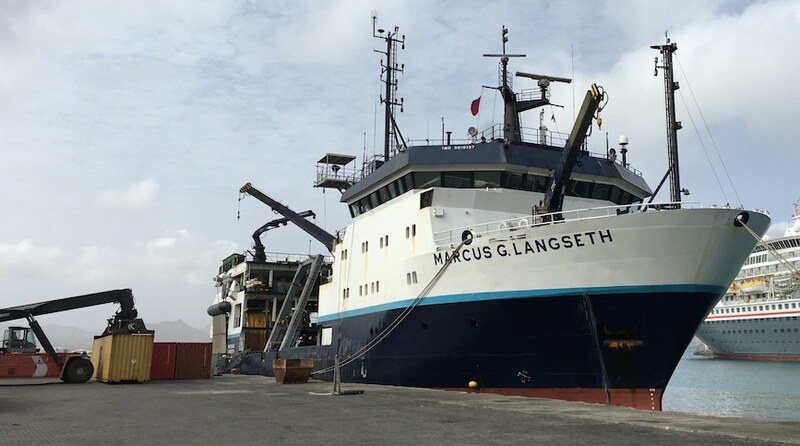 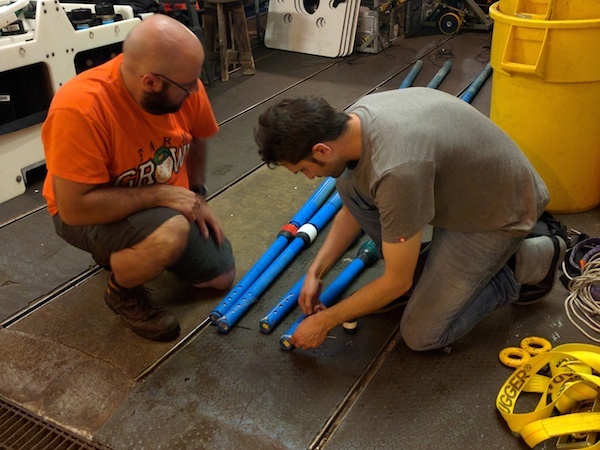 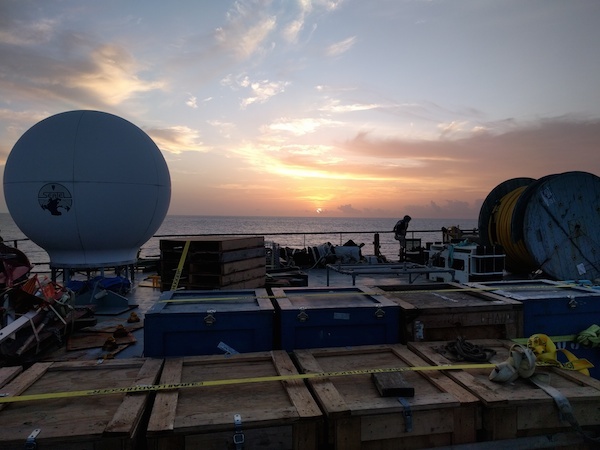 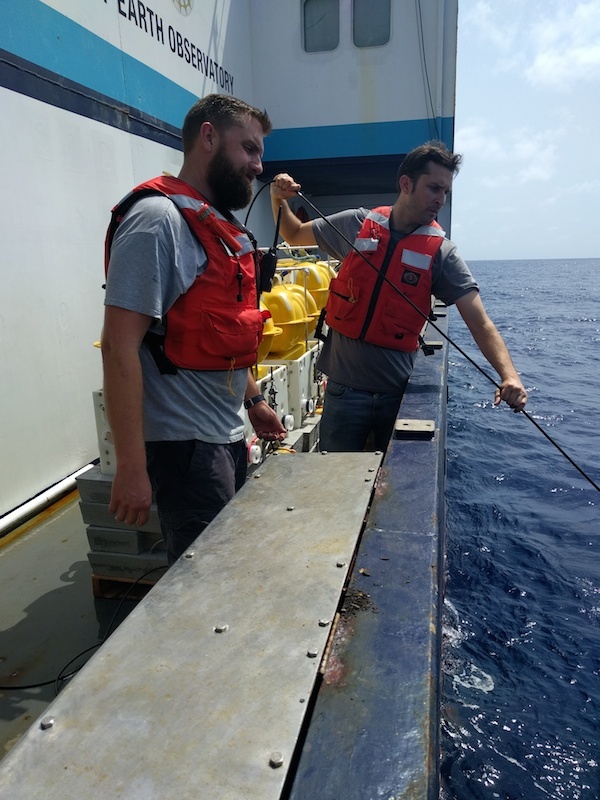 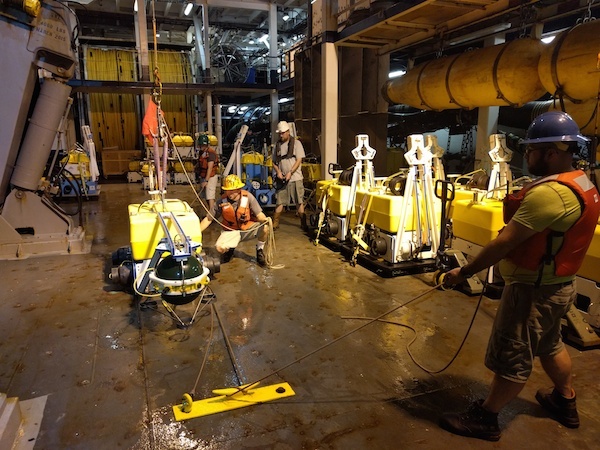 Under National Science Foundation funding, the Marine EM Lab is participating in a one-month cruise on the research vessel Marcus G. Langseth to deploy 39 marine MT instruments at the same locations as Southampton and IPGP are deploying 39 ocean-bottom seismometers. 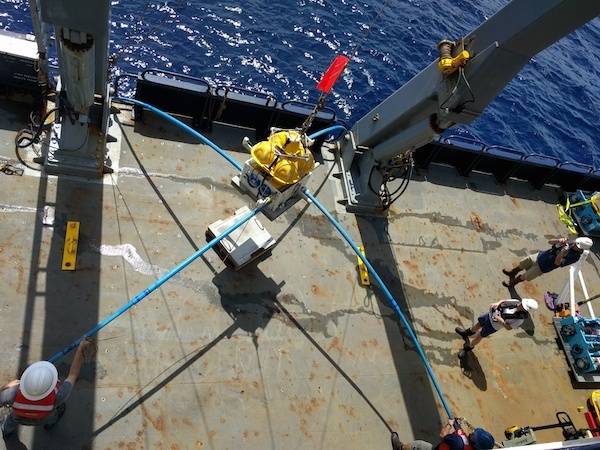 These instruments will be down for a year, to be recovered along with the OBS instruments in early 2017. 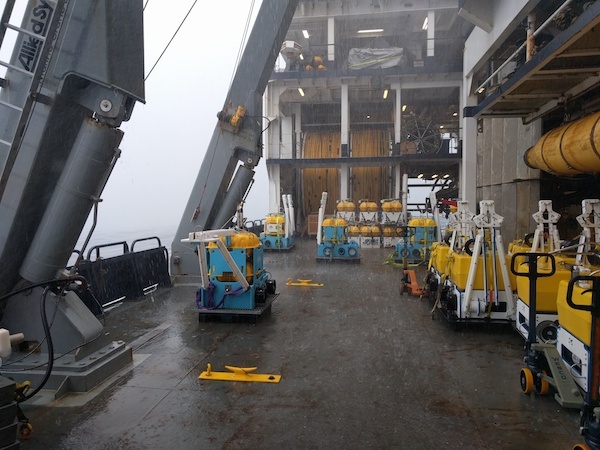 The batteries on the MT instruments will only allow 60 days data collection, but that is plenty enough for broadband marine MT. 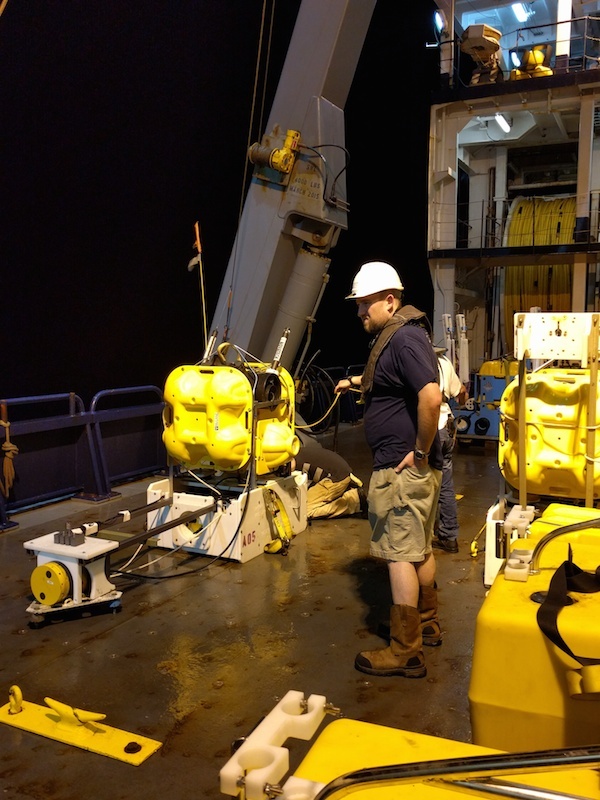 Dan Bassett will be representing Scripps on the deployment cruise. 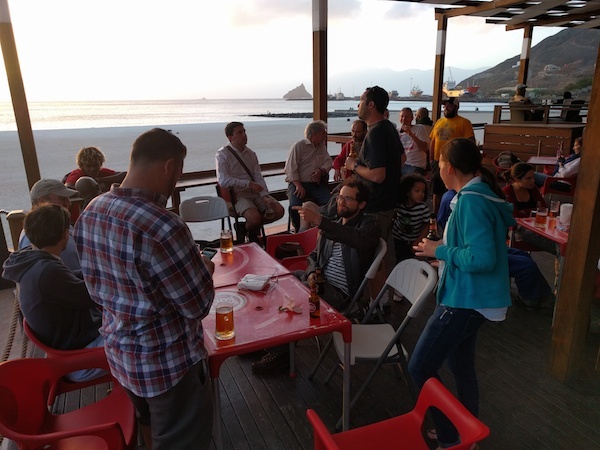 All photos are copyright Dan Bassett, unless noted otherwise. 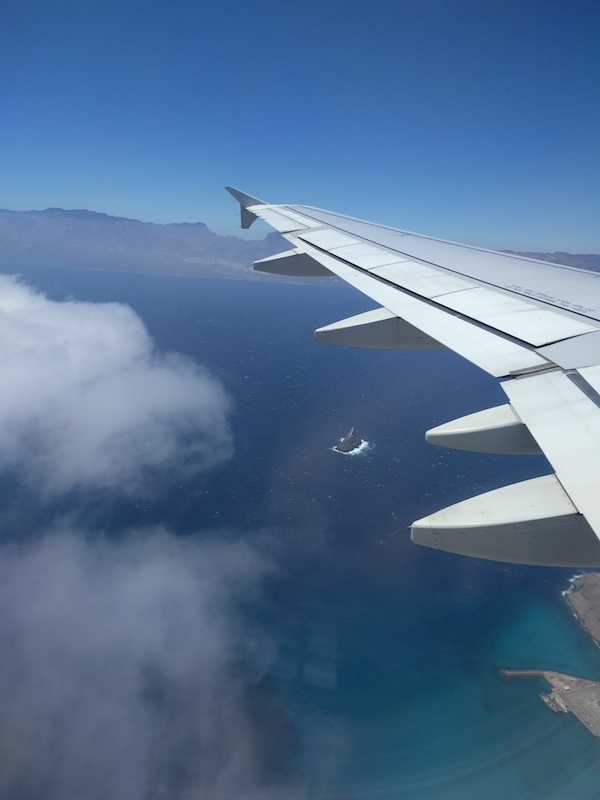 Sunday March 27- Homeward bound! 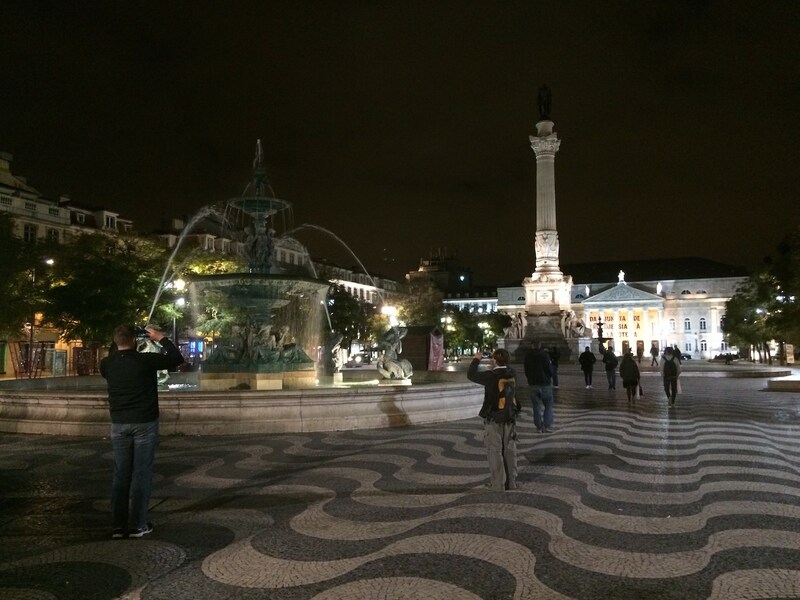 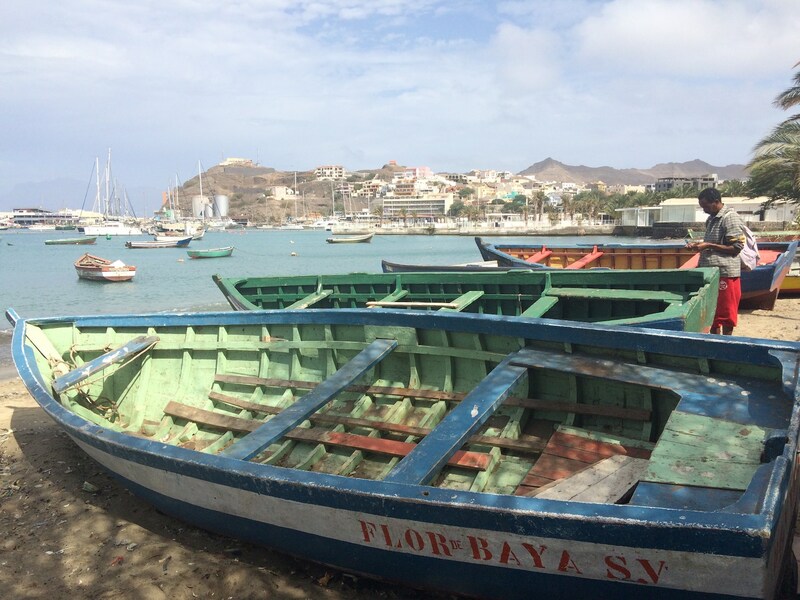 Saturday March 26- Our chariot from Cape Verde to Lisbon. 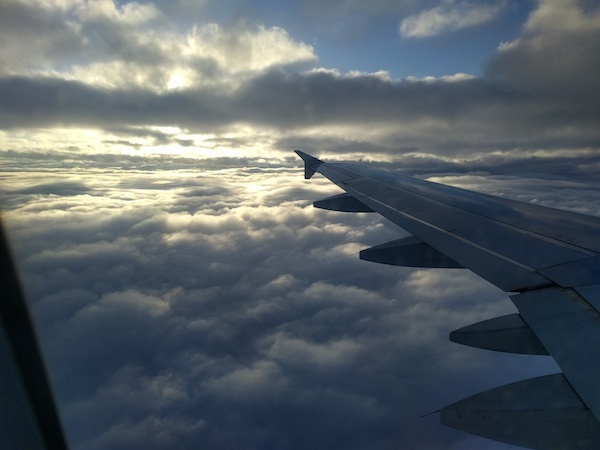 Not dissimilar from an airport on Mars. 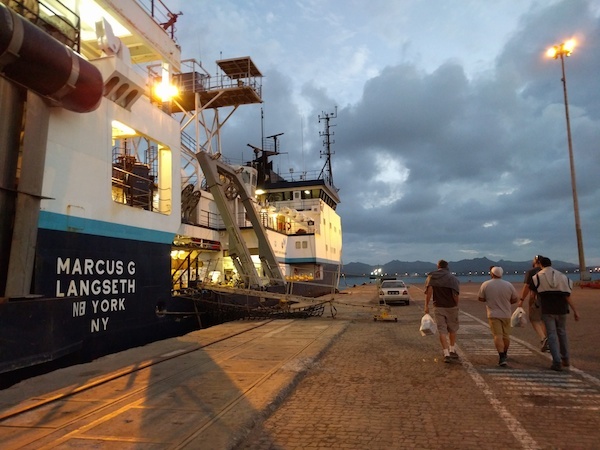 Friday March 25- Pleased to be sailing back in Mindelo after a successful cruise. 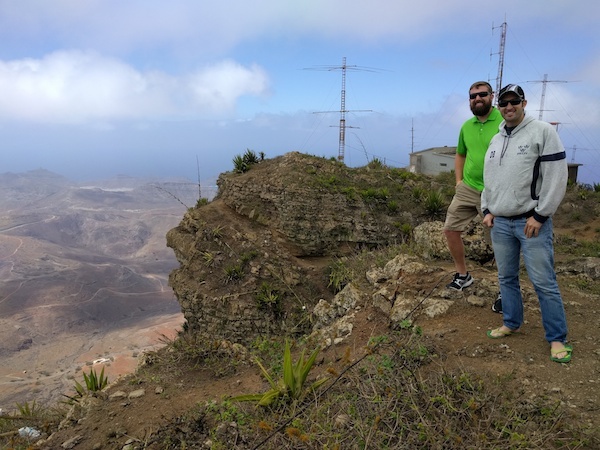 - Chris and me at the summit of Mt Verde. 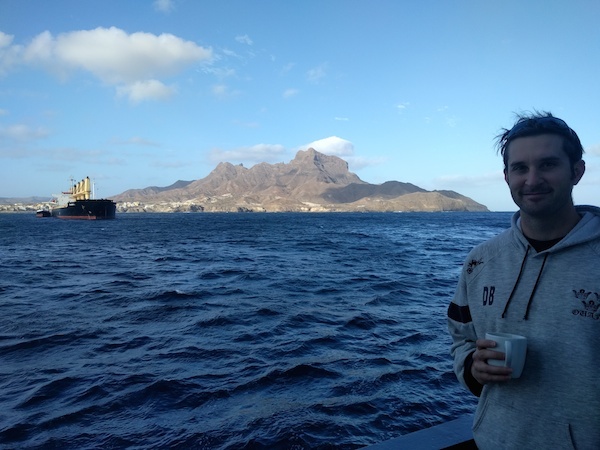 - Chris and Sean taking in the view from Mt Verde. 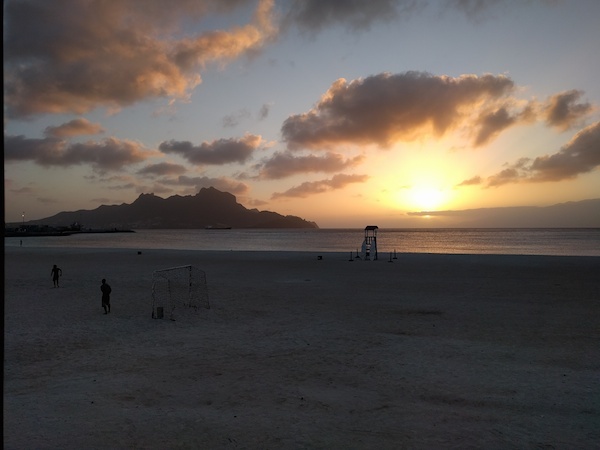 - The sun setting on our final night in Cape Verde. 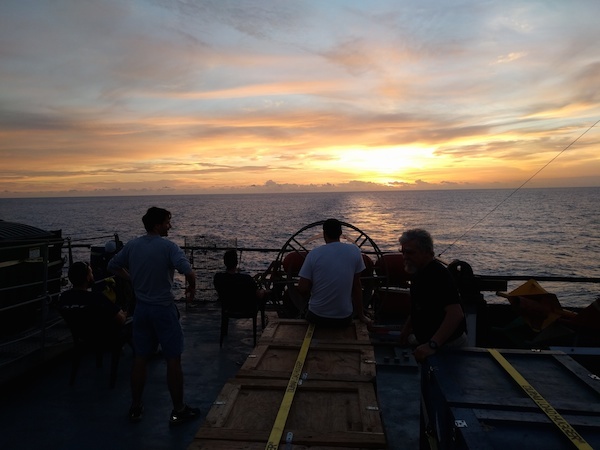 Thursday March 24- Calmer seas and nice sunrises after getting back among the islands. 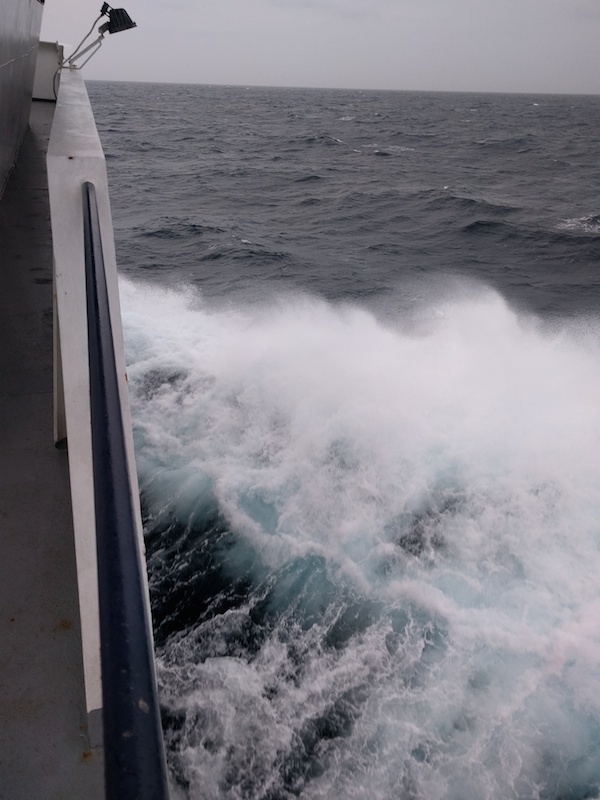 Tuesday March 23 - Wild weather and high-seas as we make our way north.